OTTAWA—Conservative Leader Andrew Scheer has written directly to Prime Minister Justin Trudeau asking him to waive solicitor−client privilege so former attorney general Jody Wilson−Raybould can publicly talk about what happened with SNC−Lavalin. 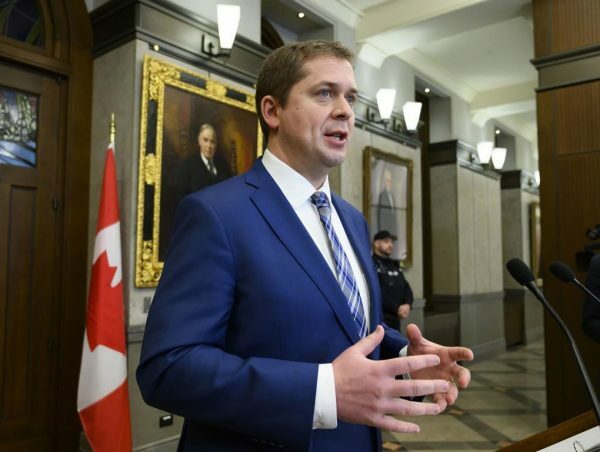 The request is contained in an open letter dated Feb. 10, in which Scheer says he also wants all communications to or from the prime minister or members of his staff about the criminal prosecution of SNC−Lavalin to be opened up to public scrutiny. “Solicitor−client privilege and the duty of confidentiality are important values in our legal system,” Scheer wrote. The request follows a Globe and Mail report last week that members of Trudeau’s office leaned on Wilson−Raybould to have federal prosecutors negotiate a “remediation agreement” with SNC−Lavalin rather than move ahead with a criminal prosecution. Wilson−Raybould, who was demoted from her role as justice minister and attorney general last month, has said she cannot comment because in her role as the government’s top lawyer, she is bound by solicitor−client privilege. Government officials have acknowledged to The Canadian Press that Wilson−Raybould was involved in extensive, internal discussions last month about whether SNC−Lavalin should be allowed to avoid criminal prosecution. Wilson−Raybould’s refusal to comment publicly, however, has added fuel to the political fire. While the Prime Minister’s Office did not immediately respond to questions on Feb. 10, a Toronto Star report cited unnamed senior government officials as saying the privilege would not be waived because the case against SNC−Lavalin remains before the courts. One senior official also reportedly told the newspaper that the government would not agree to Opposition demands for an emergency meeting of the House of Commons justice committee to hear from Wilson−Raybould and members of Trudeau’s staff. The chair of the committee, Liberal MP Anthony Housefather, stated on Twitter on Sunday that “nobody has attempted to influence me” about the opposition’s attempts to hold hearings on SNC−Lavalin. “I intend to independently determine whether committee study of the issue will be useful for Canadians (and) colleagues will do same,” Housefather wrote. Current Justice Minister and Attorney General David Lametti, who replaced Wilson−Raybould, told CTV’s Question Period in an interview broadcast Sunday that he did not believe there was any justification for a committee hearing into the matter. 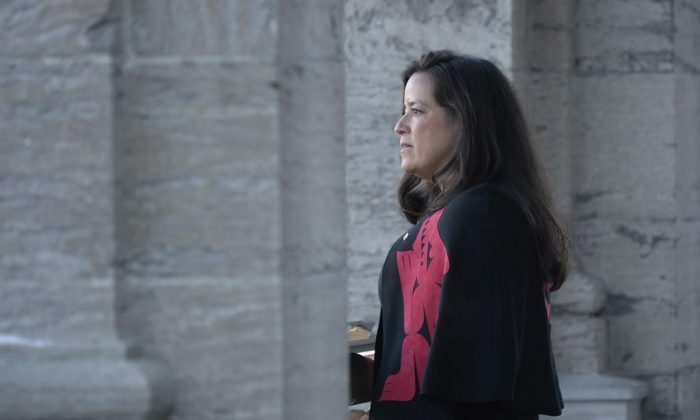 Wilson−Raybould, now veterans affairs minister, released a statement on Friday saying she is bound as the former attorney general by solicitor−client privilege and cannot publicly talk about aspects of the case. SNC−Lavalin has been charged with bribery and corruption over its efforts to secure government business in Libya and wants a deal, allowed under the law, to pay reparations rather than be prosecuted. A guilty verdict on bribery and corruption charges would result in SNC−Lavalin being barred from government contracts in Canada for 10 years. Officials have told The Canadian Press that would in turn likely cause foreign government contracts to dry up as well, potentially putting SNC−Lavalin out of business. Consequently, they said, it was natural that internal discussions would have taken place after the director of public prosecutions, Kathleen Roussel, informed SNC−Lavalin last October that a remediation agreement would be inappropriate in this case. The company is challenging her decision in court. SNC−Lavalin has taken out newspaper ads and heavily lobbied ministers, government officials and even Scheer and NDP Leader Jagmeet Singh to make its case for avoiding a prosecution. Quebec Premier Francois Legault has also pressured Trudeau directly to intervene on the company’s behalf. Given the jobs at stake, officials said, the government would have failed in its duty had there not been discussion about whether to intervene in the SNC−Lavalin case.